Hey pyjama Bosses. Miguel here and welcome to another episode of pyjama Bosses.tv. I hope you are having a great amazing day and today as you can see here am not in the office. I’m a designated driver for the lady and since am here just waiting for her to come back from her acupuncture appointments. I was just thinking maybe I can do something useful with my time and talk to you guys. Since I haven’t talked to you for a week, here’s one thing that I wanted to kind of share with you since last week. Many people come to Masa and I sometimes and they want to get some kind of duplication system or a system for their teams. Most of the time people come to us, they’ve been working very long hours for a very long time. They started this business with a lot of enthusiasm and willingness to work really hard and do whatever it takes. And this is kind of a given, if you really want to have success in life or not just in network marketing and everything you need to be willing to do whatever it takes. As I say sometimes, we have this kind of idea that the harder you work, the more success you’re gonna have. And it is true, but its not 100% true and that’s probably coming back from the episode of the not becoming the superhero of your own business. If you haven’t watched that by the way, somewhere here there will be a button and you can go back and watch that one. Working extremely hard doesn’t mean you’re gonna be extremely successful. So most of us as I was saying, most of the people that come to us, they’d be working already in their business for a little while. They had some success, but then they’re trying now to scale their business. And this is where the challenge comes. The challenge comes when you’re trying to scale their business. And we hear about this thing called duplication from day one. If you want to be successful in network marketing, you need to create duplication. The more duplication the more depth in your business, the more success you’re gonna have. Yet at the beginning, I guess sometimes, and that includes … I include myself in that boat I guess when I started. Its kind of ignorance. Ignorance on fire, you do the work and you just basically go and do whatever it takes again and work and work and eventually something happens. And the challenge sometimes is when you don’t understand when things are happening and how they’re happening. And you don’t have a very clear process and then the challenge is the following; The challenges is that, when you don’t have a clear process, you don’t know what goes wrong. If you don’t know where it goes wrong, you cannot fix it. And challenges are always there and things are always gonna go, let’s say it wrong, because there is something that is given in this business and its the human factor. And we all feel like we are uniquely defective. We are all unique in our own way or we try to be. And sometimes we try to reinvent the wheel regardless of what our sponsor tells us, our Appline, our mentors, it doesn’t really matter. There’s a point in time where they know, but they don’t know exactly who I am, my background or the country that I’m from. And yeah, probably, maybe I could do this a little bit different so I can get faster to where I want to get. So anyway, going back to people that come to us, they come to us when they are looking for duplication and for them systems equals duplication. Right? But when you ask somebody or someone about what is duplication? The first thing they say, was it’s about having a big team. It’s about having passive income or it’s about making money When you sleep. But here’s the thing, and this is the thing that I, hopefully these kind of gives you a better understanding about what duplication really is about at least from our point of view. And again, I always say I’m not arrogant enough to say that my way’s the only way. It’s just another way and it’s just, again, my opinion is just another opinion whether that hits home for you or not. That’s a different story. So if it helps the way that my wife and I, Masa, the lady that I’m driving today to the acupuncture people. The way we understand duplication is as far as follows and some of you guys probably have heard that from Masa and I already. if I was to ask you, what is the biggest and the best duplication tool ever invented by mankind in the history of humanity? I’m pretty sure you’re gonna have a few ideas. And that might be right. But here’s the thing that … the one that I kind of … it kind of dawns on me or kind of comes to mind straightaway to me when I think about duplication. The best tool ever invented by mankind in duplication is called Google. Yes that’s right. Google. Why? why Google? Well, they have taught in the space of, I don’t know, maybe 10, 15 years or I don’t know how, however long Google has been out and about. I at this point in time I’m in the car. So I haven’t even researched how long or when Google was founded in 1990 something obviously when Internet was about … around. Right? Why Google? Because they have taught planet earth almost I would say every single person around the world on planet Earth One and only thing. You know what that is? If you don’t know something what do you do? Yep. You Google it. Right? So that’s very simple. Can you teach anybody to do that? Well, Google already proved that. You don’t even say you research it. You say you google it. That’s how how they have taught every single person around the world to go and research. You don’t do research anymore. You Google it. You don’t need to know anything. They only thing you need to know is that you can find it. Go into Google and going into the search bar and saying how to whatever or whatever name you want to put in there and click on the button and then you get a million options. And they have taught us that. That is duplication. They have taught 7 billion people or 8 billion people I don’t know what the population they were or what Population is to the one thing. So if you take the same principle and you apply that to your network marketing business, what do you think duplication is gonna be like? Well, it should be something like this, I’m a brand new member, okay. In my team and I go and ask my Appline, how to find more prospects or how to talk to my prospects. And guess what? Duplication is the following my Appline instead of telling me for an hour how to talk to people, how to prospect, how to invite, instead of doing that, my Appline says,” Go to your system and there is a 20 minute video that tells you how to prospect people or how to invite people. Watch that video its 20 minutes. Come back and let me know if you have any questions.” Think about that for a second. What is the number one thing that people have always in their mind when you talk to them? I’m not good enough. Right? So by you telling somebody I don’t know anything, I just go to the system and I know where to find it in the system. Yeah. If you don’t know something, Google it. Well, if you don’t know something in network marketing in your business, go to your system. How many people do you think that quit already your business would have stuck a little bit longer and thought, “Hmm” maybe I can do this business because I don’t need to know anything. I just need to know where to find the information. When somebody comes and asks me a question, I don’t need to know, I don’t need to know the answer, I just need to know where to find the answer. And that is the duplication. How many people do you think you can have at one time, at one given moment in the same second all around the world trained. If you had a system that everybody relies on, everybody goes and clicks on a button and that button plays a video that says how to prospect, people in network, micro for network marketing, for your opportunity, how to invite people, and 10,000 people go on the video one given time, all around the world. They can click on a button and they get trained. And the only thing they had to do is to go and ask somebody and that somebody pointed to the tool. So think about that right conduct that can do to your duplication. Again, the magic word duplication, as many people around the world that talks about it. Not many people get to experience the many people get to have big teams. But again, for me duplication, I guess in a way, and again I’m not saying that it’s the only way, but when I talk, when I think about duplication, I think about the following; I think about having big teams, and myself not having to babysit every single person. Me Not having to work 24/7 to make sure that everybody has an opportunity to succeed is not about myself and somebody that I personally sponsored today. Duplication for me means the following; Because I have a system that I can rely on, the person that comes in two years from today into my business, 20 levels beneath me. They have the very same opportunity that somebody that I personally sponsor. Because you, all of you as leaders, when you personally sponsor somebody today, you have more experience than the brand new person. You have more experience than probably anybody else in your team. Right? And when they come to you, you might have all the answers, but every time you give somebody an answer instead of pointing to the tool, either you are enhancing duplication or you’re hindering duplication. In my opinion, I guess there is no grey area either you enhance duplication or you hinder duplication. So by me pointing to a tool, instead of me being the superstar that knows everything, what I’m doing is enhancing duplication because that brand new person, the only thing they understand is “Oh Megan doesn’t know anything. He’s making money. Everything is going well for him and the only thing he does is pointing me to a tool.” So tomorrow when I have a brand new team member, I can do this, I don’t need to know anything, I just need to know where to find it in 10 point two, the tool to that person. And again, thinking about that 20 levels beneath you two years from today, do you think somebody in your team would be able to replicate that? Most Probably yes. Now, do you think somebody in your team 20 levels beneath you, two years from today, will be able to replicate all your knowledge all your personality and everything you do? Most Probably not. Systems are there to enhance duplication if you use it the right way. If you use it the wrong way it will enhance something else that is not duplication … inefficiency. And that’s why systems they are good, but they’re not the silver bullet. Its all about course correction in adding tools, adding processes into the system so you are enhancing duplication. You enhance efficiency so you can have bigger teams faster and people are excited. It creates momentum and then what? Duplication and creating duplication is a bigger team. It creates momentum, everybody’s excited and then you can actually experience making money, years leap and doing all these things that many people talk about, but no many people get to experience. Okay? So anyway, I hope that kind of made sense. Barely I rumble around a little bit today, but I think, I’m hoping sometimes that it hits home for some of you, if it’s only the one person that kind of hits home for me ill be very, very happy. If not, it’s okay. You don’t need to keep listening to me. But if it did here’s what I would like you to do. First of all, if you think this is useful if you can think of somebody that might benefit from this, make sure that you click on any of the buttons they will be around here. You Click share, make sure that you tag that person if you’re in Facebook and make sure that they listen to this. I always say the best thing you can do always is to use tools to your advantage. You don’t need to explain it, as I said, Google it, point to the tool. And if you are looking for a system that’s another thing. 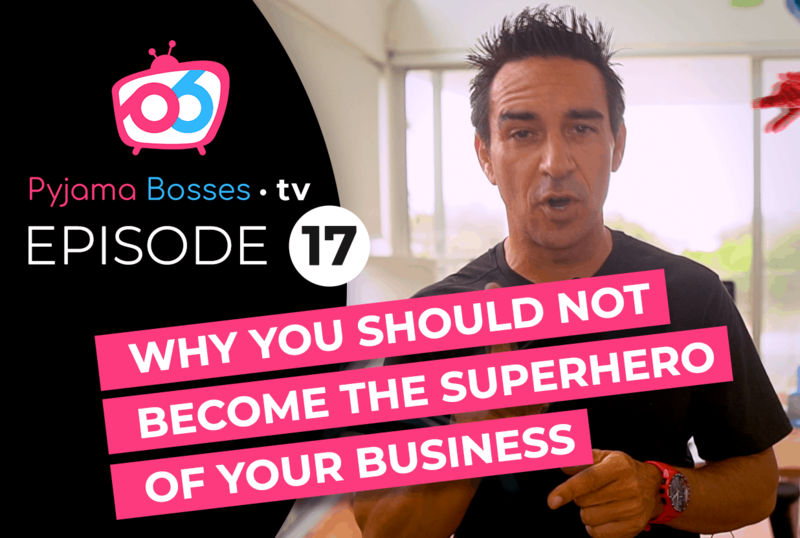 If you’re looking for a way to scale your business, you’re a leader, you’ll be working a few hours a day for quite awhile, and you’re afraid to step out of your business because you think that your business may stop when you stop. Wow a lot of Great Information. Thanks!!!! Thanks for your comment Roger!So glad you find it useful!